Navratri season has arrived and so is the season of rocking those Garba nights with your friends. But these days are absolutely incomplete without those colorful lehengas and traditional chaniya choli. If you have a single worry about getting those dresses on rent, then you do not need to worry because we have got it all covered for you. Below is the list of places where you can get all kind of garba apparels and jewelry on rent for the perfect Navratri selfies and pictures you’ve been dreaming of. 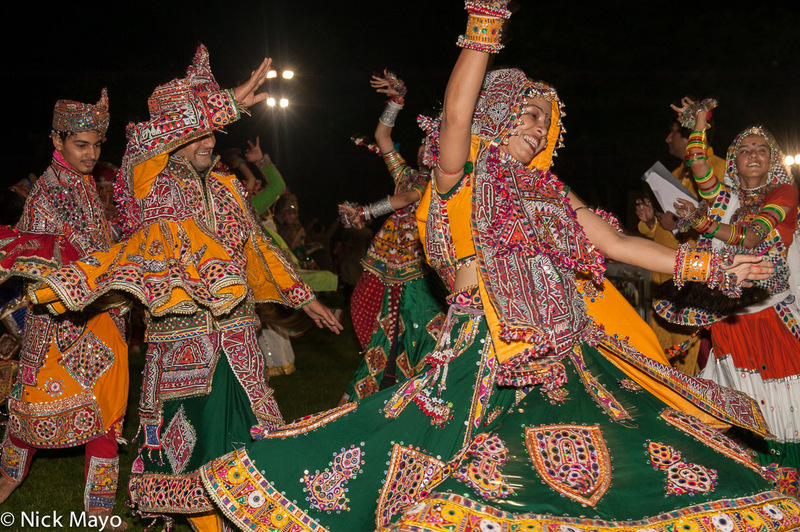 You can find a number of garba dress style to select from such as Gujarati style, folk style, Kathiyawadi style, etc. Dresses for annual function, folk dance, different kinds of short and long lehengas are available too. Jewelry of all kinds is available on rent. Apart from the usual traditional dresses of Garba, Indo western dresses and lehengas are available here. Handmade pom pom jewelry and other kinds of jewelry can be found at Rasm. All kind of traditional as well normal printed lehengas and jewelry can be found at Odhani. Apart from that, bridal dresses and other folk dance dresses are available here too. 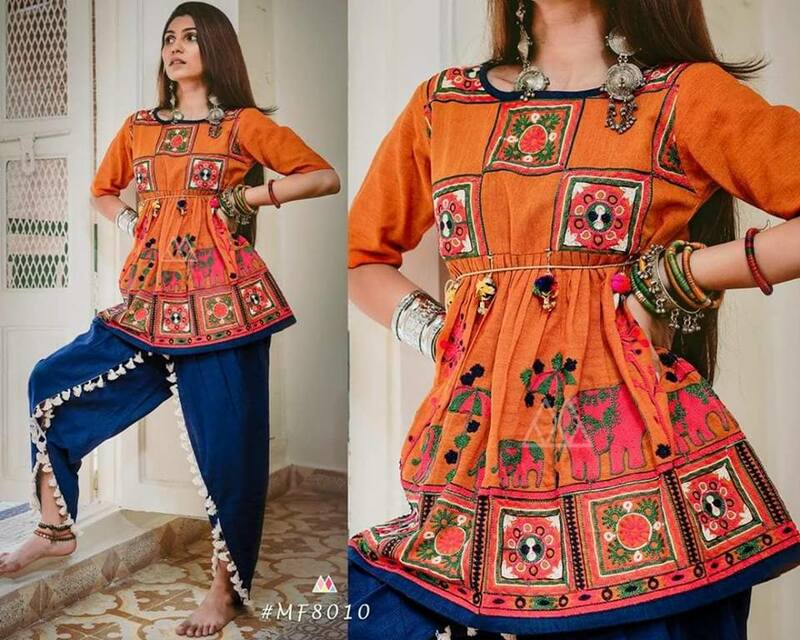 Mahalaxmi fancy dress stocks a large variety of dresses which involves Garba dresses as well as annual function, folk dresses, casual lehengas, and jewelry. Trendy Navratri dresses and jewelry are available here and apart from that, you can also buy dresses for other occasions on rent. Different style of dresses and jewelry is the highlight of the place. Creation stocks a wide range of garba dresses which include both male and female dresses as well as jewelry. Apart from that, you can find fancy dresses, dance dresses for kids and adults. Dresses can be designed as per your requirement too. Traditional dresses for kids, adults, male and females are available at fancyano. The jewelry is provided along with the dresses itself. All kind of fancy dresses, wedding dresses, and jewelry are available at Fancyano. All types of traditional dresses and jewelry are available at Kala Sadan. Apart from Navratri dresses, fancy dresses, play dresses and western dresses are available here along with jewelry. You can get all kind of Navratri dresses and Rajasthani apparels and jewelry here at Konika Hastkala Kendra. Apart from that, handicrafts made here is the main highlight of the place. All kind of Navratri apparels and jewelry is available here. Apart from that, Indo western apparels, traditional Rajasthani dresses for people of all ages are available. Previous articleKailash Kher to Make a Comeback in Udaipur Along with Raju Shrivastava. Know Where!